Whether your roof was damaged in a storm or has a slow leak, you will want to fix it immediately. Failure to do so means risking significant damage to the inside of your home. Whatever kind of leak or damage your roof has, you need a professional to evaluate the problem as soon as possible and determine how best to repair it. What Can Cause a Roof Leak? Roofs can leak for many different reasons including long-hidden damage from past storms, high winds, falling debris like tree limbs, and old age. Some roofs start to leak slowly because they are simply too old. Shingles and underlayment have a limited lift span after which they lose their ability to shed rain or keep water out of your home. 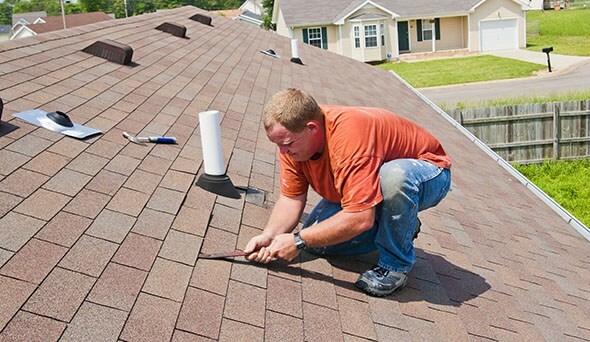 Anywhere between 15-to-30 years, shingles can start to curl along the edges and bits and pieces start to break off allowing water to slowly seep in and damage your walls and ceilings. After several years, there is a possibility for the flashing to become bad. As flashing ages, it can rust, come loose or suffer damage. There are also issues with deterioration tied to flashing that was improperly installed. As flashing acts as a seal, once it goes bad, it can cause water leaks. Other leaks happen more suddenly. Sometimes when the wind picks up, a fragile tree limb can come crashing down onto your rooftop with no notice, damaging the shingles or the roof support system itself. Bad design and engineering can cause water to pool or drain too slowly off the roof. The increasing number of torrential rains we’ve had have left more property owners vulnerable. When the roof drainage system can’t handle the volume of water, heavy backflow causes severe damage to shingles and underlayment. Snow and ice dams also account for some of the roof leaks we’re now seeing. Fortunately, given Portland’s typically mild winters, the ice dams don’t usually last longer than a few days. The cause of the leak eventually melts away, as does the leaking spot in your roof. Our award-winning, professional roofers at All Surface Roofing & Construction are here to help. We have years of experience repairing roof damage from storms, old-age and improper construction and installation. 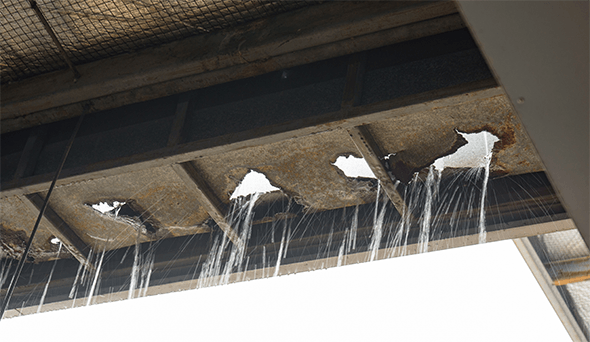 Many different things can be the cause of a leaky roof. Let us help find the cause. 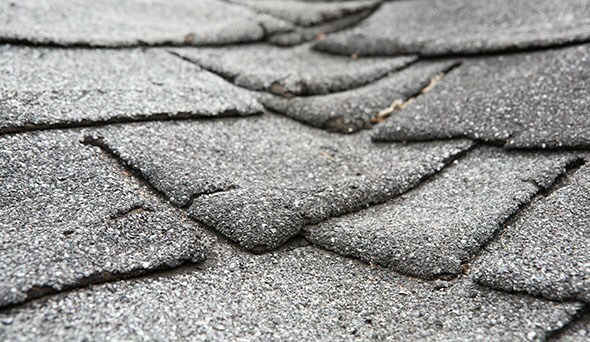 Not all roof repairs are a result of a leak having occurred. There are numerous reasons for needing repair. You owe it to yourself and your home to take care of your roof.